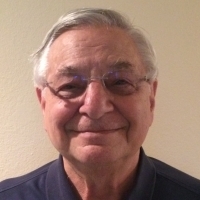 Walter Katz, Chief Scientist, Signal Integrity Software, Inc.
Dr. Katz is a pioneer in the development of constraint driven printed circuit board routers. He developed SciCards, the first commercially successful auto-router. As SiSoft's Chief Scientist, Dr. Katz has focused on areas of extraction, netlisting, simulation, and data management. Dr. Katz holds a Ph.D. from the University of Rochester and a B.S. from Polytechnic Institute of Brooklyn.